As Tokio Hotel heads out on its first world tour in five years, the rock band’s front man reveals how he got his groove back and why he believes love has no borders. Long before the Viper Room became known as an iconic hangout of Hollywood’s young elite as well as the site where actor River Phoenix died in 1993, 8852 Sunset Blvd. was a favorite hot spot — then a jazz club called the Melody Room — where mobsters like Bugsy Siegel and Mickey Cohen could frequently be found. It’s a location deep-seated in the storied history of Los Angeles, and tonight, lead singer Bill Kaulitz and the other members of Tokio Hotel have set out to make a historic moment of their own as they prepare to perform for the first time on the same stage where acts ranging from the Pussycat Dolls to rock royalty like Tom Petty and the Heartbreakers have gone before. It’s a vastly different setting than where they were just one week earlier, performing in Berlin before a crowd of nearly one million people, but as Kaulitz rounds out the group’s sound check with a rapid-fire run of their track “Girl Got a Gun,” it's apparent he’s no less eager to perform for the 250 fans who are waiting on the other side of the nightclub’s door to see one of Europe’s biggest bands. Leaving their home in Germany, the twins moved to Los Angeles, where, Kaulitz says they “took a year off and didn’t do anything” before finding new inspiration in L.A. nightlife. That muse resulted in a new electronic-laden sound for the alternative rock band, which they carefully crafted over the next five years as they began putting together their fifth studio album, Kings of Suburbia. 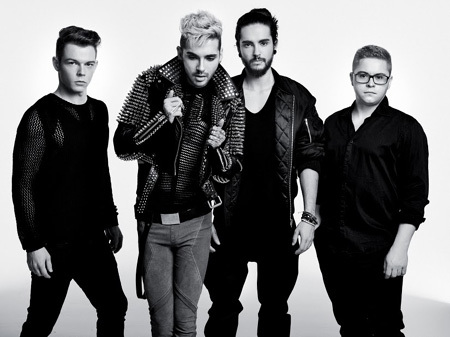 The album was released worldwide last October and shot to the top of the charts in 30 countries, plus landing in the top 5 in 17 others to become Tokio Hotel’s most successful album to date. Watch the video for Tokio Hotel’s “Love Who Loves You Back” below, and for tour dates and tickets for the bands current world tour, head to the official Tokio Hotel website.